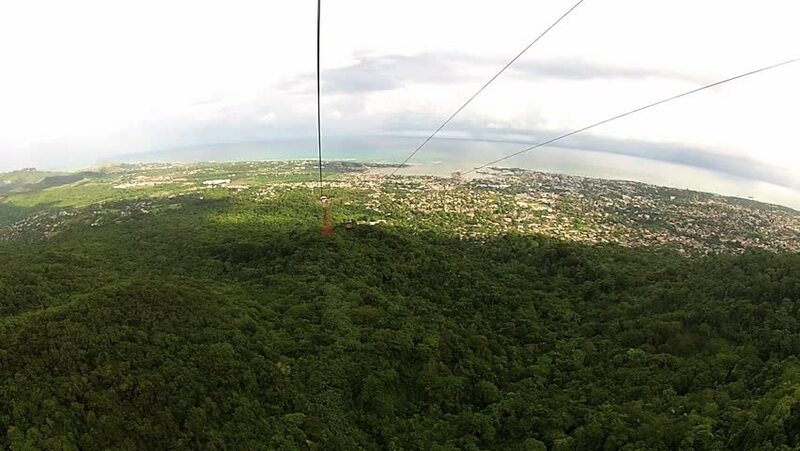 PURTO PLATA, DOMINICAN REPUBLIC – NOVEMBER 10, 2012: View to the moving cable car gondola from another gondola at the cable car in Puerto Plata, Dominican Republic. hd00:25CAIRNS, AUS - APR 23 2016:Timelapse Skyrail Rainforest Cableway, a 7.5 kilometre scenic cableway running above Barron Gorge National Park a World Heritage in the Wet Tropics of Queensland, Australia. 4k00:12Airplane trail in the cloud and blue sky.